No one would have expected any less from Best Buy than to put some of the best Black Friday cards on the table this year too. They have been making sure that shoppers stay alert of what’s coming with releasing the ad early, as usual, and have announced that free shipping will be available for all orders through December 25. Now, regardless of whether you plan to shop online or in stores from Best Buy this Black Friday, please take note of the limited quantities and of the fact that Best Buy being one of the front runners of this holiday sale, everything good will probably sell immediately. Speaking of everything good, let’s pull out the top 5 Best Buy Black Friday deals. 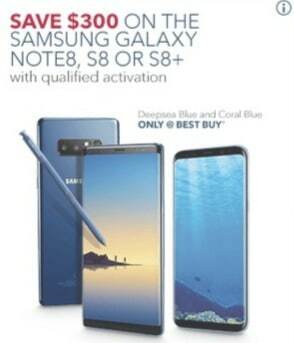 The retailer is offering savings of $300 for the Samsung Galaxy Note 8, Galaxy S8 or the S8 Plus with qualified activation, and is also offering savings up to $200 (minimum savings is $150) for Apple iPhone 8 and iPhone 8 Plus, again with qualified activation. Should you be buying? Definitely yes, if looking to upgrade to a better phone or switch from Android to iPhone or vice versa. This right here is why it pays off to wait until Black Friday to purchase a 4K. 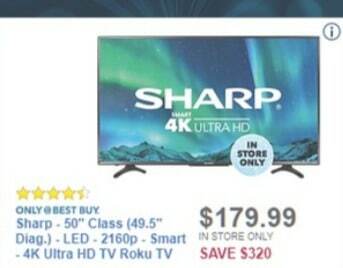 Normally selling at $499.99 and periodically reduced by a few tens of dollars, maybe $100, the 50″ Sharp 4K comes at Best Buy this sale season at the price of $179.99, which makes it a fantastic deal and a real doorbuster. Should you be buying? Double yes. Chances are no other retailer will be topping this one out. 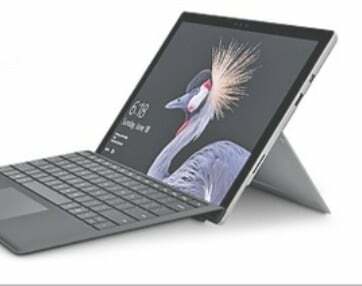 Part of Microsoft high-end range of tech, the Surface Pro is a fast and responsive device that normally costs around $900, but will be selling for the price of $629 at Best Buy Thursday, November 23. Best Buy has it listed as a doorbuster deal and they expect it to sell fast given the positive feedback from users and the performance rate, which scores high. Should you be buying? With $300 savings, you won’t regret getting one. How is this for a doorbuster? 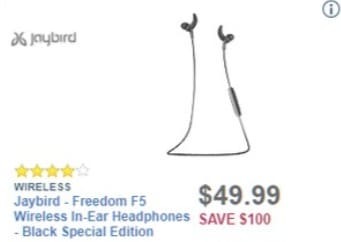 The Jaybird Freedom are wireless earbuds with Bluetooth capabilities, in-line microphone and sweat-proof design that deliver great audio experiences. They list at $148 on Amazon, but Best Buy will be having them at $50 for the Black Friday sale. Should you be buying? Yes! 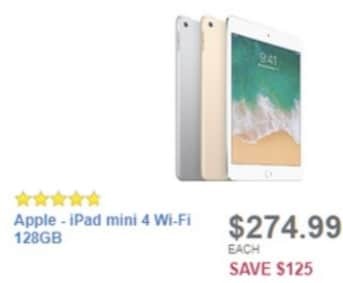 With $125 savings, this Apple iPad is a customers’ favorite and a great choice for people who are travelling and need to use small-sized devices but really for anyone into small portable tech. These mini jewels perform great and are worth the money as is, but they’re more so worth the investment with a great discount. So should be buying? Yes again. End note: Do make sure to examine Best Buy Black Friday ad throughly because you’ll find something for you too if none of these picks do. Beats Studio Wireless will sell for $160 ($220 off), Toshiba 55″ 4K TV with Chromecast will sell for $280 ($200) and Sony PlayStation 4 Slim will sell for $200 ($100 off), just 3 other recommendations that show Best Buy are living up to their name.